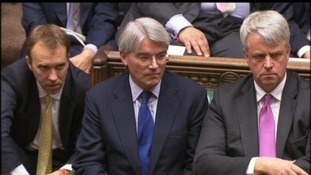 Andrew Mitchell MP resigned as the Government's Chief Whip on Friday (19 October). This comes after he was criticised for verbally abusing police officers in Downing Street. There were allegations that the MP for Sutton Coldfield called a Downing Street police officer a pleb, something he strongly denies, he does however admit swearing at the officers. The ongoing row started last month when newspapers alleged that he had verbally abused officers outside of Downing Street when he was asked to dismount his bike and use the side gate instead of the main to exit. Andrew Mitchell MP strongly denied using the word pleb - an insult meaning 'commoner' but accepted that he did swear at the officer and apologised. Pressure mounted on the MP to resign with angry scenes in Parliament on Wednesday, the first Prime Minister's questions since the row began. "It was obviously very wrong of me to use such bad language and I am very sorry about it and grateful to the police officer for accepting my apology." "The incident in Downing Street was not acceptable and you were right to apologise for it"